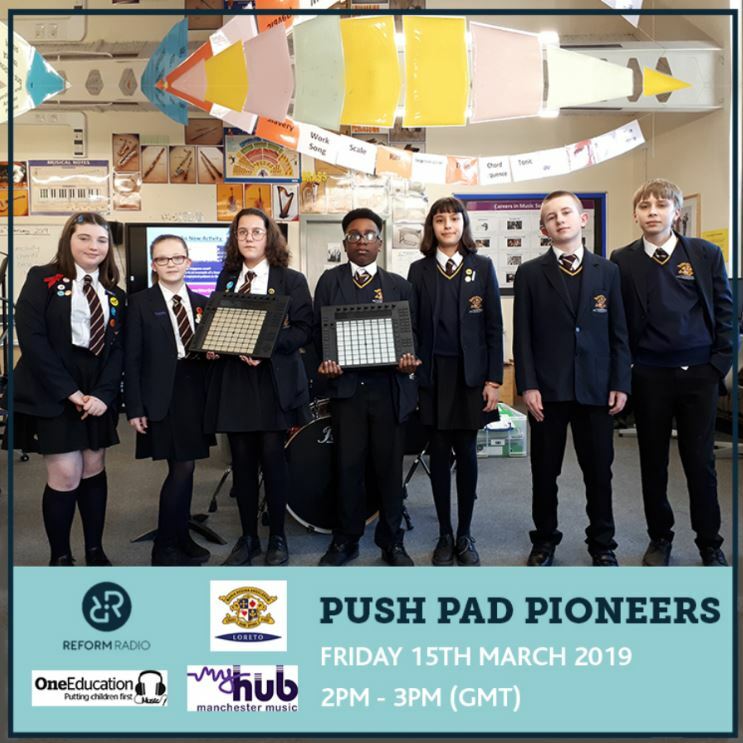 15 of our Year 8 students were fortunate enough to take part in an ‘Ableton Push Pad Pioneer’ project during January and February. This creative electronic music project was designed and led by electronic musician/composer Caro C with One Education Music and Ableton Ltd. 30 students applied for the opportunity to work with industry professionals and the participants were selected for their aptitude, commitment to and enthusiasm for music and music technology. The project was also aimed at increasing access to music technology to younger students, particularly for girls, who are often under-represented in the industry, so we were delighted that our cohort represented a broad range of students and interests. The students created their own electronic music using the Ableton Push Controller and Ableton software. Radio Reform brought their portable studio to Loreto High on 15th February to interview them about their compositions and to record their live performances – the radio show goes out live at 2pm Friday 15th March on Radio Reform. Click here to listen! The project was also supported by Manchester Youth Music Hub, and we thank everyone involved enormously for the incredible opportunity our young people have experienced.